When these autonomous vehicles (AVs) aren’t transporting passengers, they could be delivering packages, take-out pizza, library books. All in all, fewer cars would spend fewer hours parked on the streets, hypothetically freeing up thousands of parking spaces. “The easiest thing to retrofit would be curb parking,” says Kockleman. “There’s a lot of pent up demand for space.” That extra land could be given to wider streets to ease traffic, safer bike lanes, or transformed into parklets and outdoor seating for cafes and restaurants. In time, fallow parking lots could be converted into urban green spaces or new housing developments. San Francisco’s mild weather and proximity to Silicon Valley means it’s already an early testing ground for AVs. Even the city’s steep streets shouldn’t present too much of a challenge for the latest technology, explains Kockelman. Plus, AVs will likely be electric—and better for the environment—because they’d need the battery power to run the navigation equipment. Of course, this future scenario depends on convincing San Franciscans to give up their personal cars and to share rides with strangers. “Cities are very much a reflection of its community,” says Susan Shaheen, who co-directs the Transportation Sustainability Research Center at the University of California-Berkeley. Are San Franciscans ready for a self-driving future? Like the rest of California, San Francisco has a strong car culture, but still it has the fewest number of cars per household of any West Coast city. Moreover, it’s a city of early adopters, where ride-sharing is already commonplace. 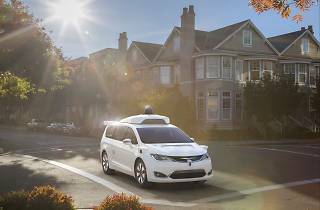 Kockelman predicts that a self-driving option will be available in ride-hailing apps within the next five years and become affordable and mainstream in a couple of decades. 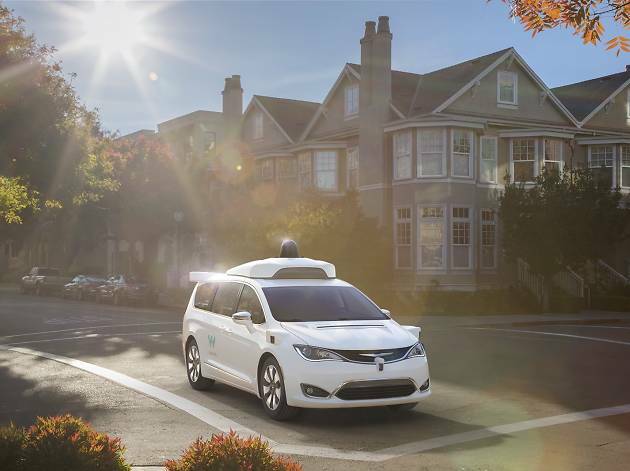 And the wheels are already in motion: Waymo, based in the Bay Area and a leading developer of self-driving cars, has already applied for driverless testing of its autonomous vehicles in the state of California. A real danger, though, might be a city hurtling towards a self-driving future without the proper infrastructure and policies, notes Shaheen. Any cheap, convenient service will increase consumer demand—just think of all the stuff you order on Amazon Prime—and self-driving cars will be no different. If everyone who used to walk or take public transit decides to call a self-driving car, traffic could be chaotic. The city, in short, will need to design pricing systems to ease congestion and more pickup and drop-off locations that still accommodate bikers and pedestrians.